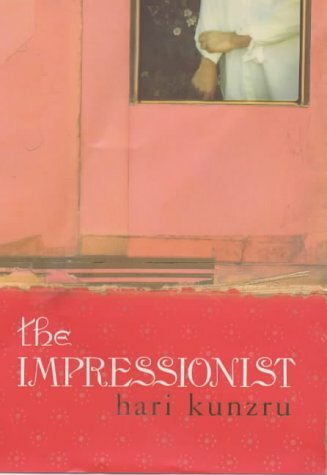 The Impressionist ***SIGNED*** by Hari Kunzru: Hamish Hamilton Ltd, London 9780241141694 Hard Cover, 1st British Edition, 1st Printing., Signed by Author - William Ross, Jr.
A sweeping, colourful adventure from the acclaimed author of White TearsDiscover Hari Kunzru's smash-hit debut novelThis is the extraordinary story of a child conceived in a wild monsoon night, a boy destined to be an outsider, a man with many names and no name.Born into luxury but disinherited and cast out onto the streets of Agra, Pran Nath must become a chameleon. Chasing his fortune, he will travel from the red light district of Bombay to the green lawns of England to the unmapped African wilderness. He will play many different roles -- a young prize in a brothel, the adopted son of Scottish missionaries, the impeccably educated young Englishman headed for Oxford -- in order to find the role that will finally fit.Daring and riotously inventive, The Impressionist is an odyssey of self-discovery: a tale of the many lives one man can live and of the universal search for true identity. The antihero of The Impressionist, Hari Kunzru's daringly ambitious first novel, is half English and half Indian. In the Raj of the 1920s, the racial and social divides are enormous, but Pran Nath is able to bridge them, crossing from one side to another in a series of reinventions of his own personality. He begins as the spoiled child of an Indian lawyer, but circumstances thrust him out of his pampered adolescence into the teeming and dangerous life of the streets. After a bewildering period as one of the pawns in Machiavellian political and sexual scheming in the decadent court of a minor Maharajah, he escapes to Bombay. There he is taken up by a half-demented Scottish missionary and his wife, but Pran Nath prefers to slope off to the city's red-light district whenever he can. During a time of riot and bloodshed, the chance of re-creating himself as an English schoolboy destined for public school and Oxford presents itself, and he takes it. But this is not his final transformation.